#31, Shravanee Krishna Mansion, Ashoka Pillar 100ft Road, Ii Block, Jayanagar, Bengaluru - 560011, Karnataka, India. Shravanee Holdings is an umbrella under which a number of entities have been established towards the development of properties both Residential and Commercial. Since its inception in the year 1995, the enterprise has grown from strength to strength having successfully completed over 20 projects and has over 8 ongoing projects currently. All our projects are located in the prime areas of Bangalore. 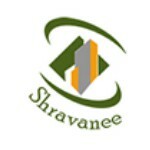 The brand "Shravanee" is known for being an evident "Guarantee for Quality of Construction" and is engaged in the business of Development, Construction, Sales, Operation and Management of properties. Our projects are a complete amalgamation of Quality, Innovation, Luxury, Elegance and Advanced Technology. Every project is under the direct control of experts in the field who ensure a very meticulous process towards the delivery of uncompromised quality of property development.